Green Summary – Artemis International Inc.
Artemis International has been dedicated to creating environmentally friendly products since before being green was trendy. For us, it’s never been a trend – it’s a lifestyle. We believe in sustaining play for generations to come. Our goal is to ensure that our children, grandchildren, great grandchildren, and great, great grandchildren have clean, healthy areas in which to play. 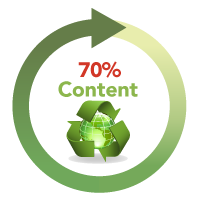 Artemis International products lead the industry in recycled content, averaging more than 70% reclaimed material in each structure. Our decks, enclosures, and roofs are made from 100% post-consumer recycled High Density Polyethylene (HDPE) formed from milk jugs. 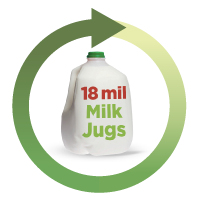 This process has diverted more than 18 million milk jugs from landfills since 2005! 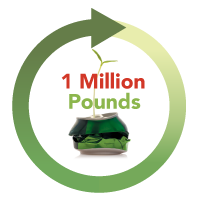 We’ve diverted more than 1 million pounds of scrap metal from landfills since 2005 by using recycled metal to manufacture our metal uprights. Not only do we choose earth friendly materials, but we also implement green practices that improve the environmental sustainability of our manufacturing process. We are proud that our manufacturing facility in Fort Payne, Alabama is ISO 14001 certified. This certification specifies the requirements of our environmental management system (EMS).